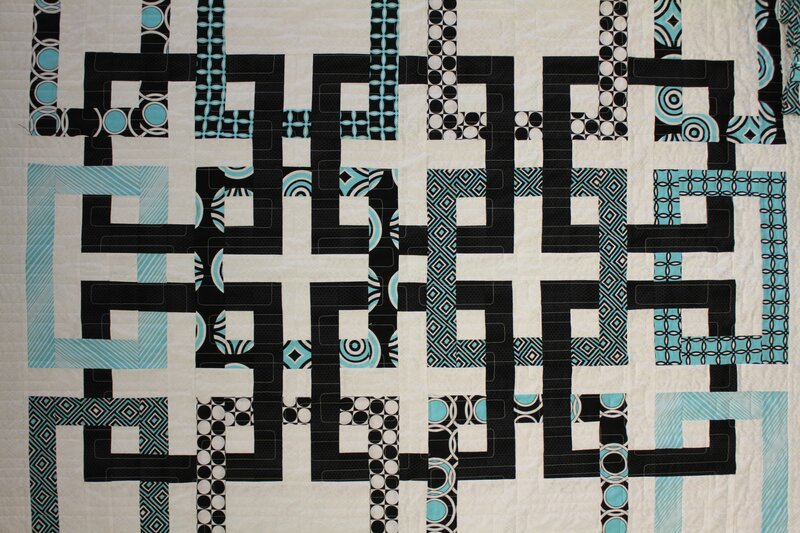 54" X 62" Modern quilt with squares inside squares inside squares. Great fun to put together but not for the beginner. Kit includes the fabrics for the squares and instructions. You will need 2 1/4 yards for your background color which is not included.